Though most travelers to Mexico come in the winter to escape the cold, there are quite a few excellent reasons to visit Mexico in the summer months. You can partake in colorful cultural festivals, enjoy observing and possibly interacting with animals that are easier to spot this time of year, and take advantage of great savings and few crowds since this is low season. You may be concerned about the weather, but the weather in Mexico in the summertime can be quite pleasant, and summer rains turn the landscapes lush and green. Summer is a perfect time to enjoy some of Mexico's vibrant cultural offerings. 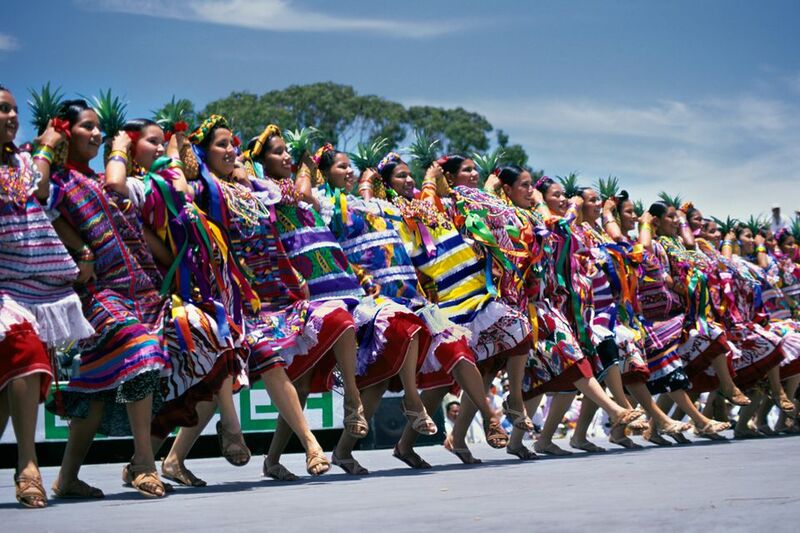 The Guelaguetza is one of the country's most important folk festivals, and takes place in Oaxaca City each July. Zacatecas holds its international Folkloric festival in the summer, and there is also an important chamber music festival in San Miguel de Allende held every August. Certain activities and eco-adventures can best be enjoyed in the summertime. Whether you're looking to interact with sea turtles and whale sharks or catch some waves, this is the best time of year to do it. Summertime is sea turtle season in Mexico. Female sea turtles begin to arrive on Mexico's beaches in May to nest and lay their eggs, and the babies start to hatch some 40 days later. Sea turtle rescue programs search the beaches for nests and either mark them or transport the eggs to safe spots, and after they've hatched, release the baby sea turtles to the ocean. You can join in these efforts, or do your part by practicing caution on beaches which are known sea turtle nesting areas. Learn more about volunteering with sea turtles. Summer is also whale shark season, and if you want to swim with these giants of the sea, you may do so from Isla Holbox or Cancun from July through November, or attend the whale shark festival in Isla Mujeres in July. Find out more about swimming with whale sharks on Isla Holbox. Summer is prime season for surfing. Check out the best destinations for surfing in Mexico. If you're looking for more ideas for things to see and do in Mexico during the summertime, here are 5 Summer Escapes that will make for delightful vacation memories. Whether you're planning a family getaway or a romantic escape, summer offers great value for travel to Mexico. Since it's low season, you'll also enjoy few crowds and super-attentive service. You can take advantage of the many kids stay free deals offered by resorts in Mexico for big savings on a family vacation. You may automatically rule out travel to Mexico in the summertime thinking that it will be too hot to bear, but this isn't necessarily the case. Mexico is a big country and weather conditions vary from one region to another. In northern Mexico it does get extremely hot: Baja California and Chihuahua, and other states bordering the United States may experience temps of up to 100 degrees Fahrenheit in the summer months. Coastal Mexico is also hot, but not so extreme, with temps of up to the mid-80s and 90s. If you don't like the heat, choose a destination inland at a higher altitude, where you can enjoy cooler temperatures throughout the year. San Cristobal de las Casas in Chiapas is an excellent destination choice if you're looking to beat the heat. Summer is rainy season in central and southern Mexico and you'll find that places that are otherwise dry and brown spring to life as the rain turns the vegetation lush and green. It generally doesn't rain all day and you can usually plan your sightseeing and other activities around the predictable afternoon thundershowers. Hurricane season in Mexico begins in June, though statistically, most hurricanes take place between August and November. Check to see if your hotel offers a hurricane guarantee and follow our other hurricane season travel tips. Learn more about the weather in Mexico. Check the weather forecast for your destination for particulars, but for travel to Mexico in the summer, it's a good idea to pack an umbrella or raincoat. Bring clothing for hot weather and a light jacket or sweater just in case. Sunscreen is always a must, and remember that you can get a sunburn even on an overcast day.